Stuart Solomon is one of the founding partners with KBST&M. He brings more than thirty-five years of public accounting expertise to our team. Stuart’s areas of concentration are in accounting services, individual and corporate taxation, management advisory services, and wealth management services. He serves many clients in various industries, including professional services, real estate, automotive dealerships, and contracting. “The CPA’s role is a trusted advisor, assisting their clients plan for and meet financial goals, while also assisting in many other financial and tax matters. The accounting profession allows you to practice in a wide range of areas of concentrations that best coincides with your personality, professional skills and expertise. I enjoy the diversification of various businesses and clients. 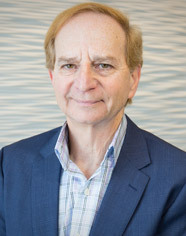 Stuart holds a Bachelor of Science degree in Accounting from Towson University and was previously Treasurer of the Timber/Valley Neighborhood Association.